Is the market always right? Or can it be wrong sometimes? It is end of the month and I went to tabulate the Singapore Permanent Portfolio Performance. I was surprised the SPDR Gold ETF was quoted at $110 at close. This is a $17 drop from $127, or about 15% decline! 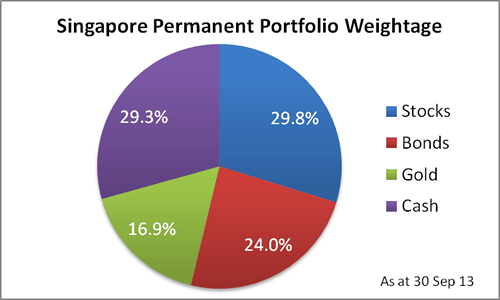 This put Gold weightage to 16.9% in our model Singapore Permanent Portfolio, almost close to the re-balancing point. One easy way to verify was to look at the US listed SPDR Gold ETF because all the SPDR Gold ETFs, regardless of listing, belong to the same Fund. US version quoted at $128 at market open and close at the same price. Hence, it is likely the Singapore version at $110 is a wrong price. Not sure how it got transacted. Could it be someone keyed in a wrong order? If so, the buyer would be laughing to the bank. I expect the price to go back to $120+ on 1 Oct 13. Please do not re-balance your permanent portfolio yet as the above weightage is wrong since the gold price is fishy! 2) if the etf is traded in usd over the sgx, what is the usd-sgd forex rate used ? Where can we check this info (if available) ? Does the rate vary with different brokerage (eg. Scb, dbsv, etc ) firms or is there a standard rate used throughout ? I was about to start implementing the sg perm portfolio until I noticed this. Just want to clarify the facts first, appreciate your advice pls, thanks. 2) you can choose to settle the transaction in usd or sgd, depending on your broker. if u want to settle in shd, it will be according to the rate quoted by your broker. I was thinking in using my CPF OA to invest in gold. Say i have $50,000 in my OA account. 1. 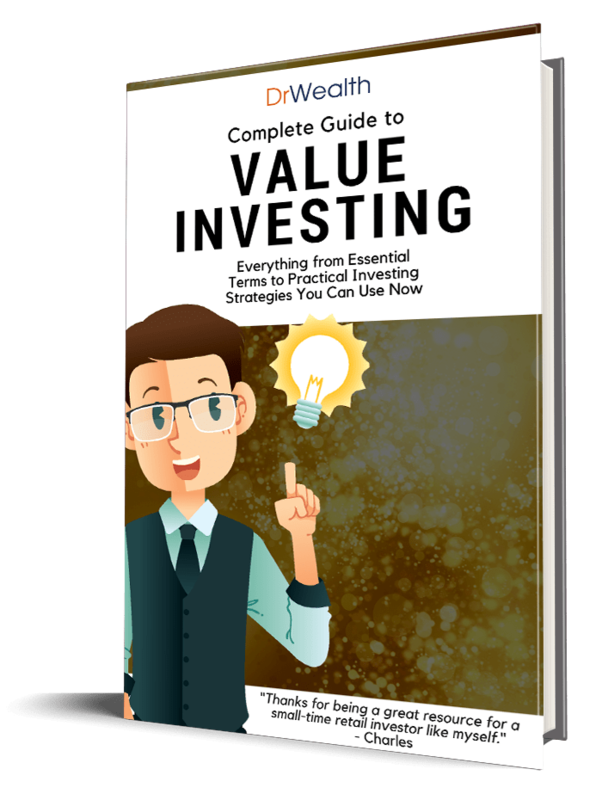 The investible amount is $30,000 or $5,000 since SPDR Gold is also a professional managed fund, i.e. ETF? 2. I will be settled in SGD, the broker will automatically calculate and inform me how much i need to pay for in SGD since this is a CPF investment? 1. Gold ETF is still subjected to 10% limit. So $5000 is the answer.